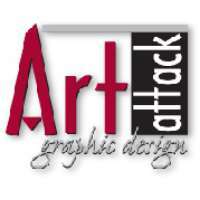 Graphic design agency in Belmont, Art Attack Graphic Design specialises in brochure design, logo design, poster & banner design and press ad design. Art Attack Graphic Design treats all of its clients to only the highest level of service and expertise…and all at the lowest possible price. Formed over 11 years ago by Steve Turner, Art Attack Graphic Design still remains a step ahead. The company believes that it is important to meet with new clients to get a good understanding of what the clients' requirements are and how the company and the client can work together to achieve the desired result. If you have any enquiries, contact Art Attack Graphic Design today.